Learn a new winter sport while on vacation in Lillehammer with this 1.5-hour intro lesson. 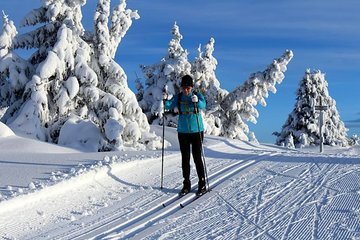 With an attentive instructor, you'll learn how to cross-country ski in either the classic or freestyle styles, gaining confidence and a foundation of skiing basics. You'll learn with a small group, which ensures personalized attention and the ability to ask questions.